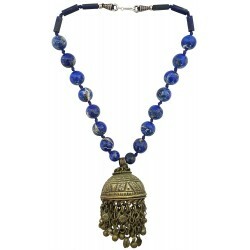 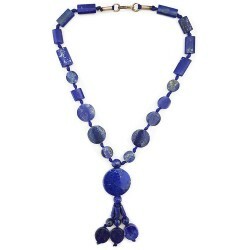 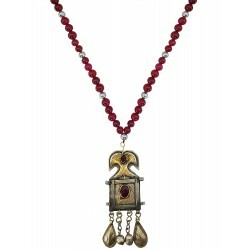 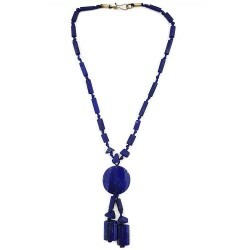 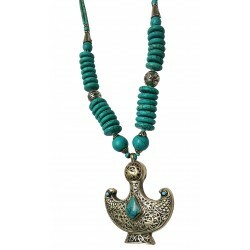 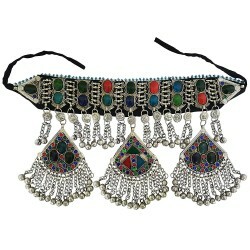 Stunning tribal long necklace handcrafted in German silver with colored glass, tassels & ghungroos, made in Afghanistan by the traditional tribal artisans. 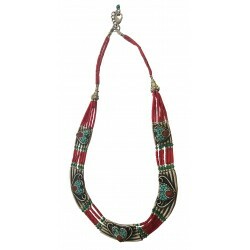 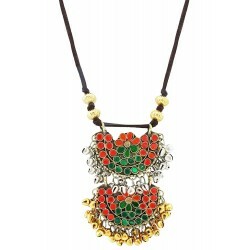 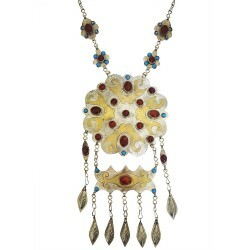 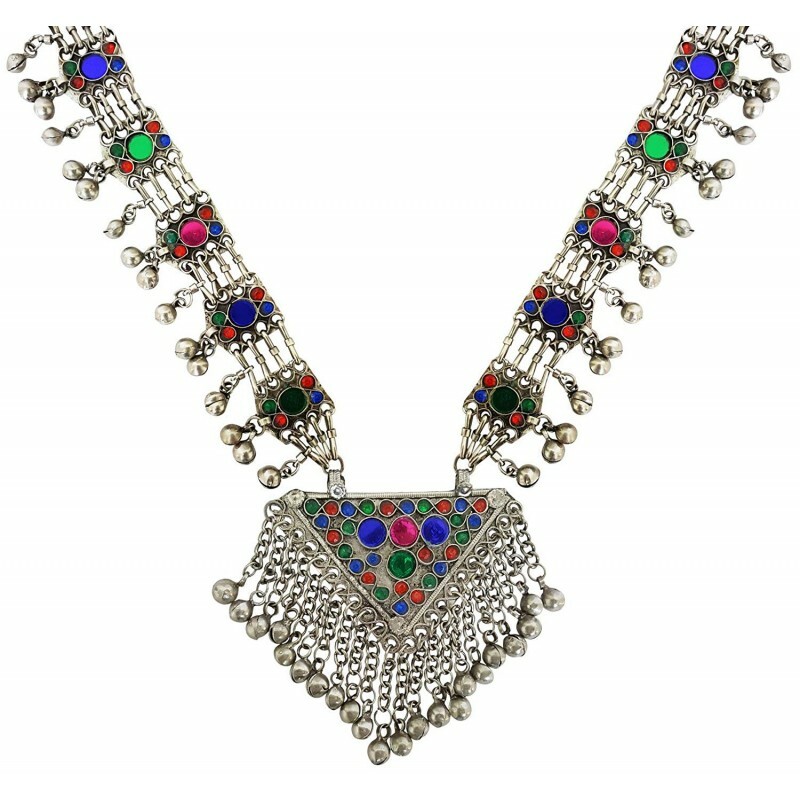 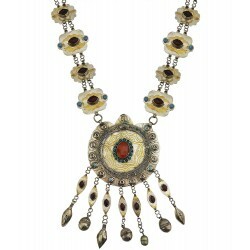 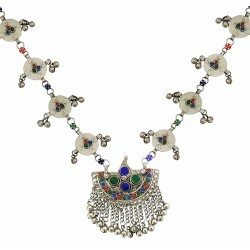 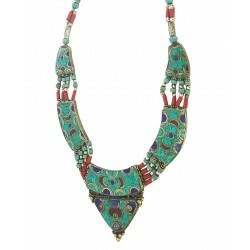 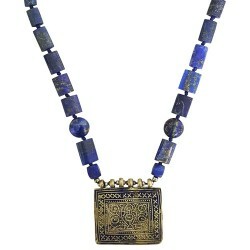 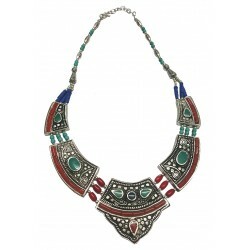 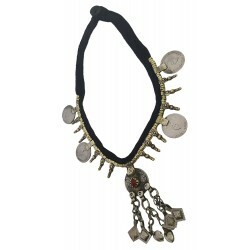 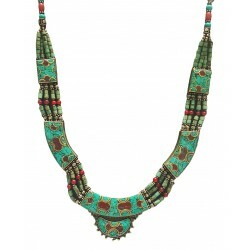 Elegant ethnic tribal necklace handcrafted in German silver, inlaid with beautiful artwork in colored glass, tassels & ghungroos, made in Afghanistan by the traditional tribal artisans. 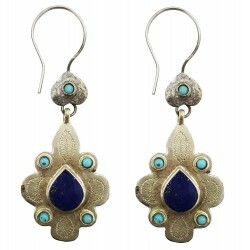 It is easy and comfortable to wear. 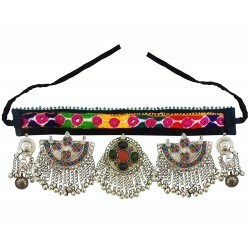 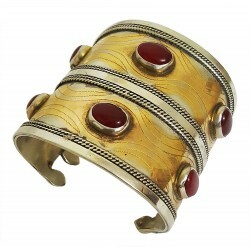 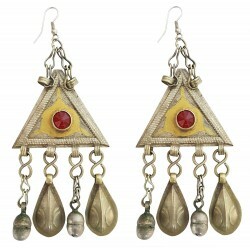 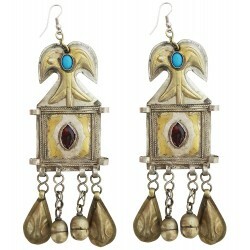 It goes with all traditional and western dresses. 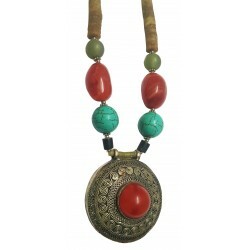 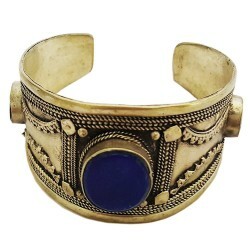 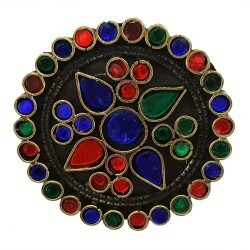 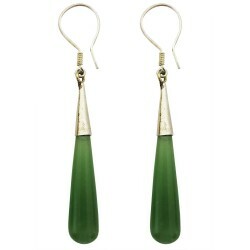 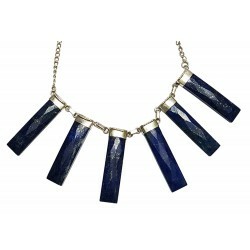 This is a perfect accessory for your wardrobe & gift for any occasion.